In the mining and construction industry, the observation and documentation of operational steps are indispensable in almost all projects. For ensuring a safe environment and control the progress during project execution, it is essential for geologists and project managers to have access to the complete picture of the current situation. 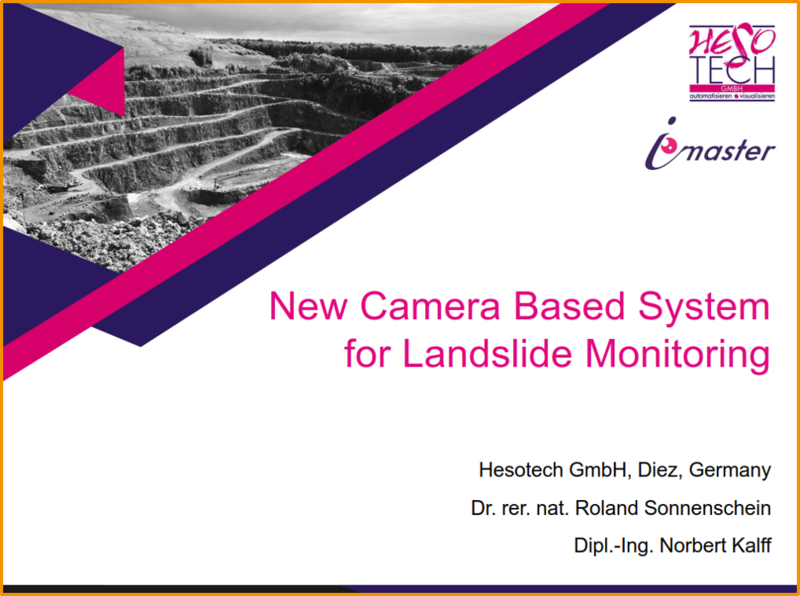 After the successful implementation of our pilot project, we were invited by the ILA (International Lime Association) to present our iMaster-DocuCam Landslide Monitoring System at the ILA General Assembly and Information Exchange Forum. 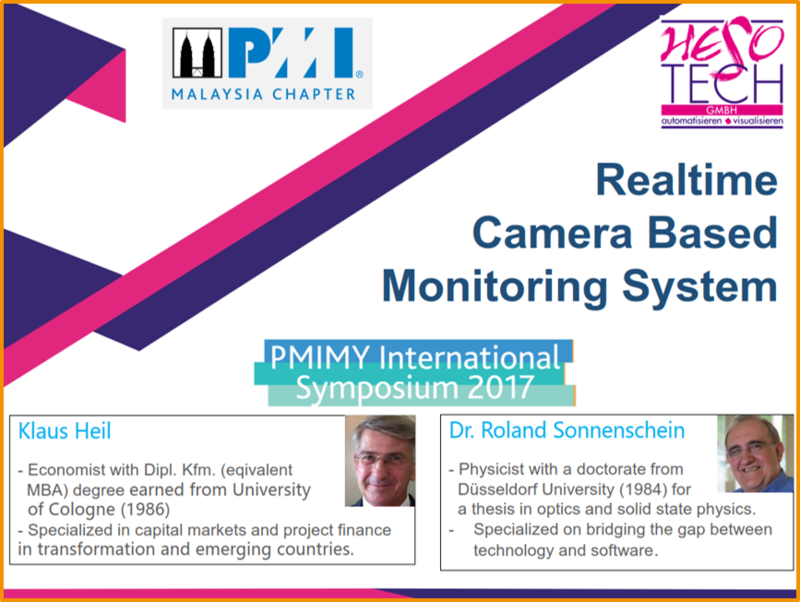 We were invited by the Institution of Engineers Malaysia to present our iMaster-DocuCam as skill enhancement. We had the opportunity to present and discuss the various fields of application – from building documentation and bio science to landslide monitoring. 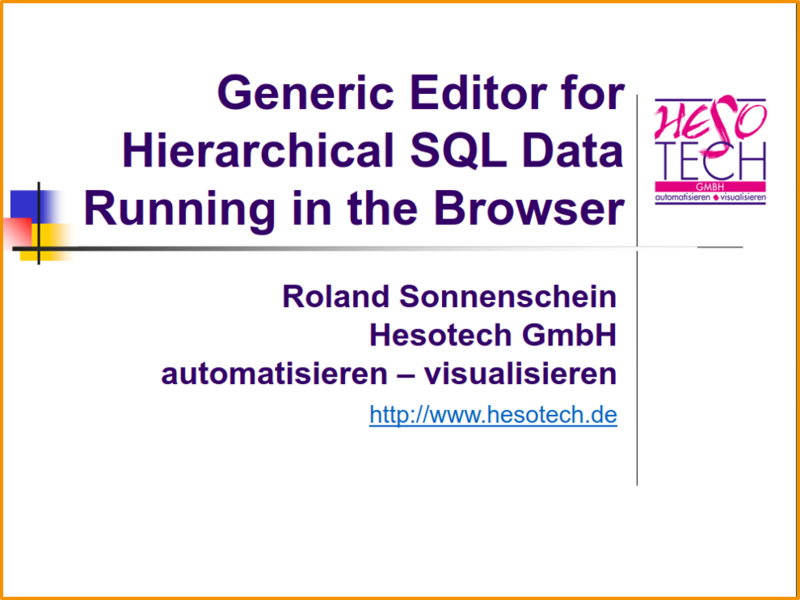 In technical applications, databases are rarely used to store measurements and metadata. 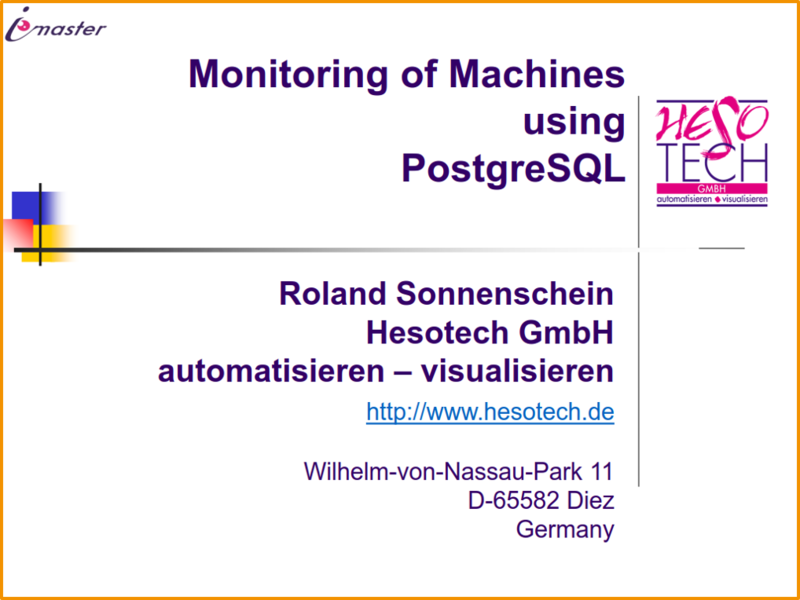 This talk is about three technical projects with PostgreSQL as the core software component. Wind energy: Testing of large size bearings of wind mills. Automotive industry: Test center to improve corrosion behavior. Plant genetics: Automated mass phenotyping by machine vision. 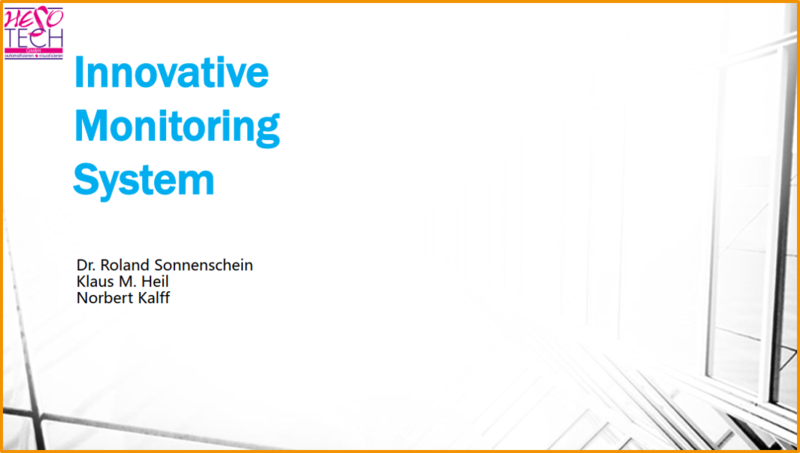 We have developed a versatile system to monitor machines and groups of machines. 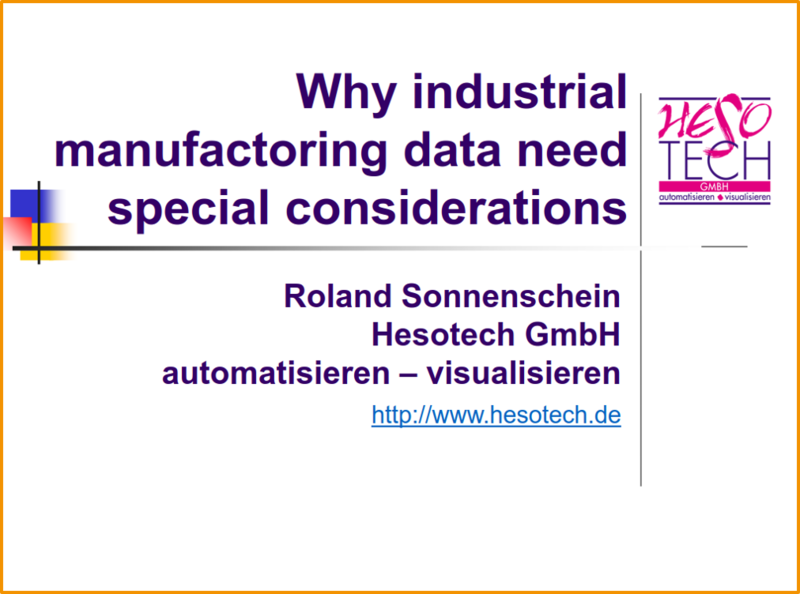 The system is well proven and used in industrial production, power supply industry, research and development. 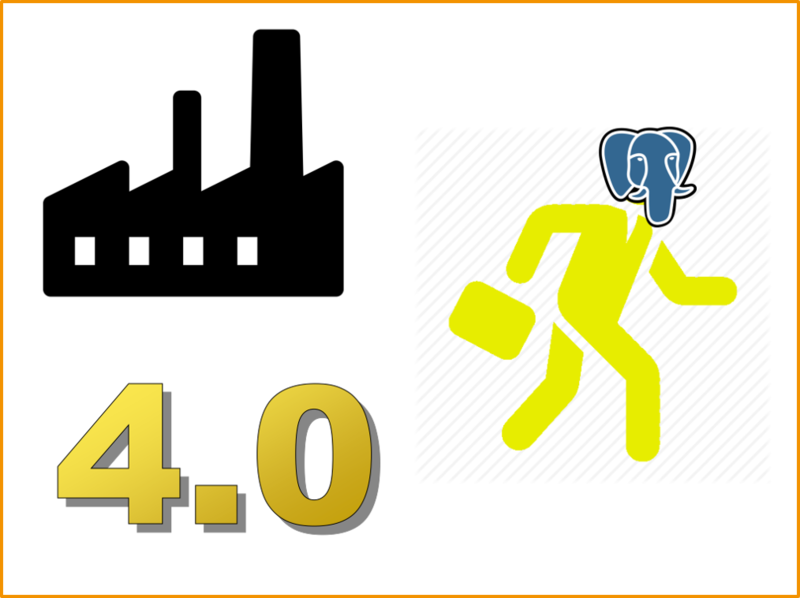 PostgreSQL is used to store all the measurements and metadata. Moreover, the system contains SCADA elements. 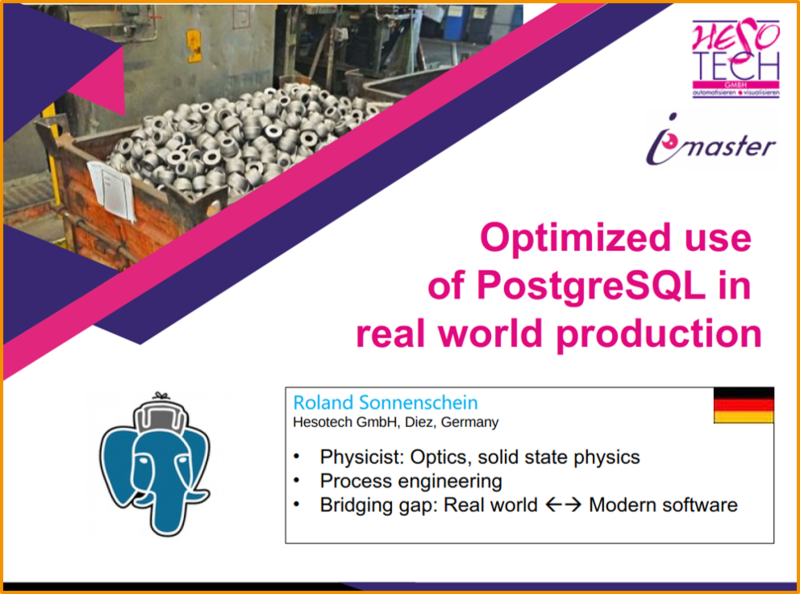 At the PG Conf US 2016 in New York, Dr. Roland Sonnenschein held a lightning talk about his vision of PostgreSQL becoming a pioneer in the industry 4.0. 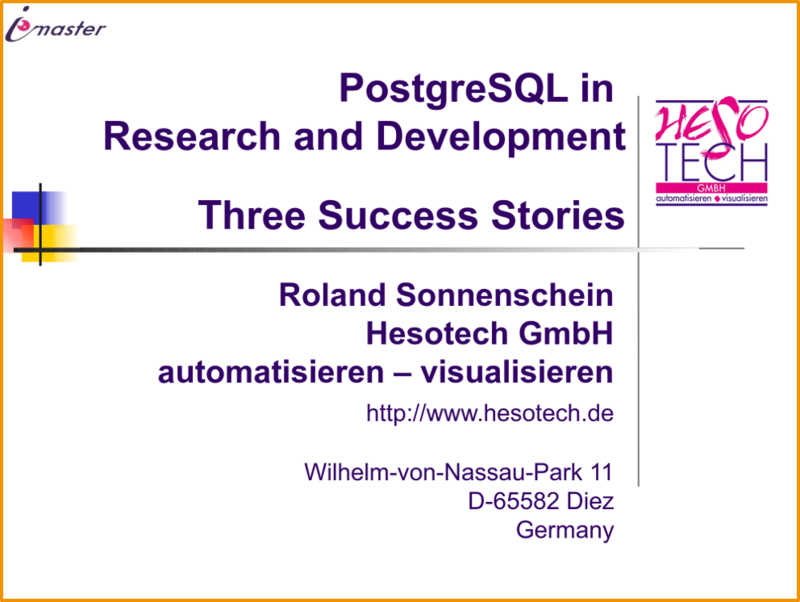 He emphasized that PostgreSQL provides the ideal conditions for the needed solutions. He invited the community to shape the fourth industrial revolution.